It is my personal ethic that personal messages, or private messaging, and/or private emails should remain ‘personal and private.’ But unfortunately today I am seeing some professing Christians take screenshots of ‘private’ messages, and then making them public. I’ve had that done to me, and it’s not a pleasant experience. This morning I posted the below remark on my personal Facebook wall. The purpose of my below post, was to foster an environment of some sanity, or a Biblical position regarding this movie ‘Unplanned.’ Sadly many professing Christians are replacing the Gospel with movies on DVD’s, and motion pictures. Here is my post. Romans 10:17 – So faith comes from hearing, and hearing through the word of Christ. Romans 1:16 – For I am not ashamed of the gospel, for it is the power of God for salvation to everyone who believes, to the Jew first and also to the Greek. Acts 20:32 – And now I commend you to God and to the word of his grace, which is able to build you up and to give you the inheritance among all those who are sanctified. 2 Timothy 3:16-17 – All Scripture is breathed out by God and profitable for teaching, for reproof, for correction, and for training in righteousness, that the man of God may be competent, equipped for every good work. 1 Thessalonians 2:13 – And we also thank God constantly for this, that when you received the word of God, which you heard from us, you accepted it not as the word of men but as what it really is, the word of God, which is at work in you believers. Jeremiah 15:16 – Your words were found, and I ate them, and your words became to me a joy and the delight of my heart, for I am called by your name, O Lord, God of hosts. Psalm 119:105 – Your word is a lamp to my feet and a light to my path. Psalm 107:20 – He sent out his word and healed them, and delivered them from their destruction. John 17:17 – Sanctify them in the truth; your word is truth. Psalm 119:11 -I have stored up your word in my heart, that I might not sin against you. Isaiah 55:11 – So shall my word be that goes out from my mouth; it shall not return to me empty, but it shall accomplish that which I purpose, and shall succeed in the thing for which I sent it. John 15:3 – Already you are clean because of the word that I have spoken to you. 1 Corinthians 2:14 – The natural person does not accept the things of the Spirit of God, for they are folly to him, and he is not able to understand them because they are spiritually discerned. Acts 6:7 – And the word of God continued to increase, and the number of the disciples multiplied greatly in Jerusalem, and a great many of the priests became obedient to the faith. James 1:21 – Therefore put away all filthiness and rampant wickedness and receive with meekness the implanted word, which is able to save your souls. John 1:1-3 – In the beginning was the Word, and the Word was with God, and the Word was God. He was in the beginning with God. All things were made through him, and without him was not any thing made that was made. 1 Corinthians 1:18 – For the word of the cross is folly to those who are perishing, but to us who are being saved it is the power of God. Hebrews 11:3 – By faith we understand that the universe was created by the word of God, so that what is seen was not made out of things that are visible. John 6:63 – It is the Spirit who gives life; the flesh is no help at all. The words that I have spoken to you are spirit and life. John 1:1,14 – In the beginning was the Word, and the Word was with God, and the Word was God. And the Word became flesh and dwelt among us. Psalm 33:6 – By the word of the Lord the heavens were made, and by the breath of his mouth all their host. Isaiah 40:8 – The grass withers, the flower fades, but the word of our God will stand forever. Colossians 3:16 – Let the word of Christ dwell in you richly, teaching and admonishing one another in all wisdom, singing psalms and hymns and spiritual songs, with thankfulness in your hearts to God. Psalm 119:89 – Forever, O Lord, your word is firmly fixed in the heavens. 2 Timothy 2:15 – Do your best to present yourself to God as one approved, a worker who has no need to be ashamed, rightly handling the word of truth. 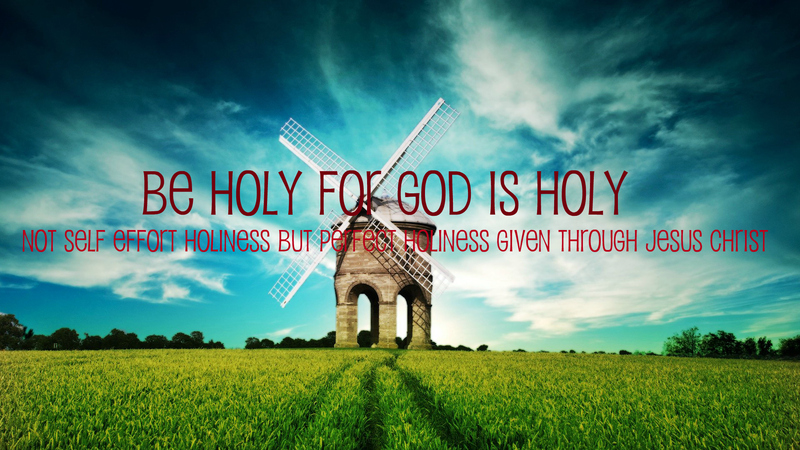 Psalm 1:2 – But his delight is in the law of the Lord, and on his law he meditates day and night. Matthew 22:29 – But Jesus answered them, “You are wrong, because you know neither the Scriptures nor the power of God. Acts 19:20 – So the word of the Lord continued to increase and prevail mightily. Titus 1:9 – He must hold firm to the trustworthy word as taught, so that he may be able to give instruction in sound doctrine and also to rebuke those who contradict it. I then received the below comment (via messenger) from Facebook friend John Doe. The following is my response to John Doe. John it’s so much easier to ignore or delete comments, but I believe it is important to ‘contend for the faith’ here (Jude 3:1-3), or at least contend for the command to herald the Gospel. Therefore, I will respond to a few things that you said above. I’m glad you enjoyed the movie, and I’m not saying that people should not see it. But perhaps you missed the point of my post. There is no evidence that she [Abby Johnson] has a saving faith that “trusts” (pisteúō) in the Lord in a salvific sense. On the contrary, she denounces Biblical Christianity, while professing to be a Roman Catholic. Moreover, according to her Facebook activity, she’s been in opposition to those that are Christ centered, and/or Gospel centric. You said you “used to be?” So my question to you, is have you left your first love (Rev 2). Have you become part of the dead church (Rev 3:1-6)? Have you become the lukewarm (Rev 3:14-22)? Have you lost that zeal that Paul encourages us to display and demonstrate? Furthermore, my goal is not merely “encouraging others to repent.” It’s to let the world know that God commands all men everywhere to repent (Acts 17:13, Mark 1:15, Luke 13:3 etc. ), even knowing that repentance is granted by the Lord. To refer to a person that preaches God’s Word, or that heralds His glorious Gospel in public as a “clanging symbol” is preposterous (unless he was). When the Scripture refers to a “clanging symbol” in 1 Corinthians 13:1-3, it is referring to a person that does these things without love. But John, it is because of love that I (and many others) do these things. The most loving thing we can do is warn the lost, and use the whole counsel of His Word while doing so (Acts 20:27). Yes, you sure have changed. I remember a time when you would share the Gospel in the public, years ago I even joined you once. But what makes you think that I (or the other Heralds) don’t do things for people, or that we don’t “care for them?” Those are things we do behind the scenes, without telling others what we did them. But since you’ve made that insinuation, here’s a little something for you. Though we’re only to boast in Christ, I’m going to fall on my own sword here. Just for starts, I have a barbeque – smoker grill trailer that I pull behind my vehicle, which is used to feed people in the streets, but never without the Gospel. Yesterday while riding my bicycle, I assisted a lady that had a problem with her bicycle, I even gave her my ‘portable tire pump’ that I had on my bike. Last week a young lady at the Metrolink station in Los Angeles was distraught because she did not have enough money to catch her train back home. She looked at me and said “Mister, do you have fifty cents.” I had no change, not even a one dollar bill, so I gave her a five dollar bill, and told her that I am asking her to “read this Gospel tract in return.” This morning while having breakfast with some Ham Radio operators, one mentioned that his UHF-VHF antenna was deteriorating. So I gave him my extra antenna. He offered to pay for it, but I said “no.” And the stories go on and on. I perform selective and random acts of kindness all the time. But all of that is nothing but vanity under the sun, and humanitarianism, without the glorious Gospel. John I say this because I do care, as you said I should “let him know that we care about them.” Your comments are not helpful, nor edifying, nor do they equip the body of Christ. Frankly at times they remind me of how Satan was subtle in how he spoke to Eve in the garden. Other times your commenting (or contribution) to others social media posts are tantamount to a person throwing a hand grenade into the room, closing the door, then running away leaving behind a mess for everyone else to clean up. Lastly John, I just spent too much time scrolling and examining your Facebook activities. My question to you is, ‘what happened to you?’ Repent, lest He remove His lampstand. This movie may be very good, but a corresponding warning should be given out to flee, flee, flee the teachings of Abby Johnson. 2) That we should not confront mothers in their sin when aborting. 3) That we should go to the sidewalk and silently pray instead of evangelizing. 4) That we should never use graphic images (that she was brought out of the industry by herself). 5) That we need her training to know how to minister because she’s the professional (rather than those who have been doing this ministry for decades and are full of wisdom). 7) That abolition bills are bad and unconstitutional. She prefers bills that regulate the industry. 8) That the mothers are victims. 9) Believes we are saved over and over again by going to Mass. 10) That the mothers should not be punished (only providers). 11) 10K-20K in speaking fees which is an astronomical amount to ask to help rescue babies. Most dear saints minister out-of-pocket.